25Craft beer, and the craft beer culture, in general, has had quite the boom of growth in the last ten to twenty years, sparking quite the revolution in the general drinking scene. No longer is it simply a question of four X or VB – how about a thrice filtered pale ale, brewed in the husk of the oldest sequoia tree in San Francisco? Craft beer, cider, spirits, good food, live entertainment and sunshine, The King of Craft Beer Fest is a celebration of all the above. 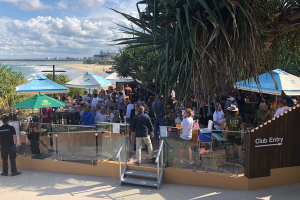 Held on the deck at Mets on Kings, overlooking the best views of Kings Beach, this is the perfect excuse to gather your mates for the ultimate afternoon out. The event team have carefully selected some great breweries to showcase their crafty creations giving you the chance to explore new brews, taste the different styles, have a chat and meet the people behind the beer. This year they’ve also added a dedicated Australian Craft Spirit section, giving you the opportunity to discover a range of proudly Australian made spirits. There will be live entertainment, good food, giveaways and enough ale to satisfy all tastebuds. Last year’s event SOLD OUT, so make sure to grab your tickets quick. 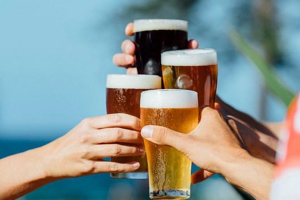 From 1pm on Saturday the 27th of April the doors open for four hours of beery goodness and so much more at the spectacular Mets on Kings Caloundra Surf Club – unbeatable views of the beautiful King’s Beach and its sandy shores and crystal clear waters. There’s still plenty of time to secure your ticket for this unmissable event for beer enthusiasts, with the first wave of brewers only just starting to be announced. The first wave includes Stone&Wood, Byron Bay Brewery, Pan Head Custom Ales, Somersby Cider, and Mountain Goat, with plenty more to be announced as the event closes in. Tickets for the event are $59.95 per person, and includes 5 drink tickets, a $5 donation to the Caloundra Surf Life Saving Club, a free meal, access to all the Live Entertainment on the day, a commemorative King of the Craft Beer Fest key ring, as well as entrance to all promotional giveaways on the day. 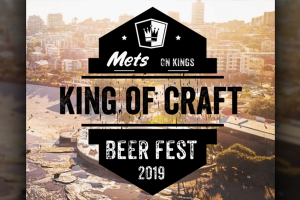 For your ticket or more information on the venue and the event itself, visit the Mets on King’s official website here and I’ll see you at this year’s King of the Craft Brewfest.